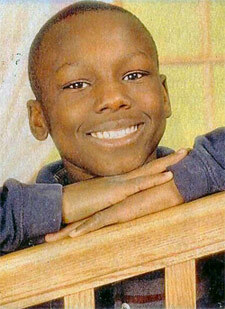 What would you do if your son, just starting his adult life, was gunned down senselessly on the street? This happened to Dayo Adetula when his son Joseph Adetula was gunned down on the night of July 4, 2005, while walking home from a convenience store. The only information: witnesses say the shots came from a four-door gold or tan vehicle that sped off. Joseph was shot nine times. Dayo was at Joseph's side when the ambulance came. Tragically, Joseph died at the hospital only a short time later. The murder is still unsolved, despite heavy media coverage, police efforts, and Dayo Adetula's own attempts to find out who killed his son. Many people, in this situation, might be bitter, or hopeless. Not Dayo Adetula. Adetula has started a non-profit foundation in his son's name to educate young black men about the effects of violence. Much Love,Joseph Adetula Foundation Joseph Adetula Foundation T-Shirt! Support our Peace Campaign. Wear our unique T-Shirt and easily tell people about the "Joseph Adetula Foundation"! !